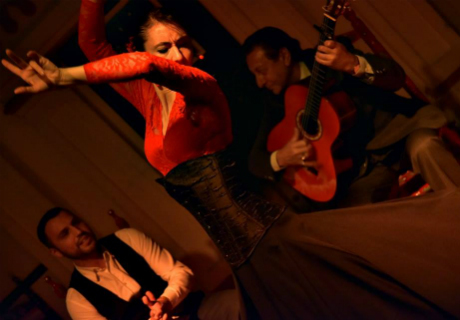 Tablao Flamenco Almonte is located in the city of Madrid. 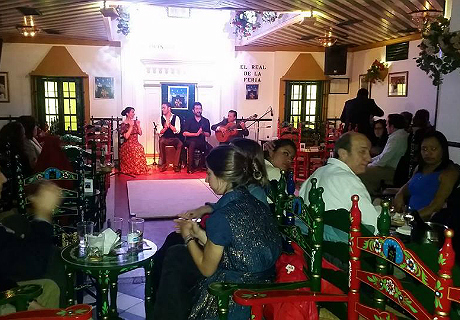 Decorated in typical Andalusian style Tablao Flamenco Almonte offers its customers an immersion in the world of flamenco to enjoy this art recognized since 2010 as an Intangible Cultural Heritage of Humanity by UNESCO. 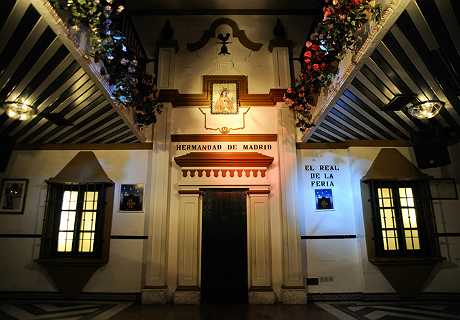 The venue has nightly flamenco shows with the option for a drink or dinner. The flamenco show in Tablao Flamenco Almonte lasts approximately one and a half hours and features between four to six different artists. Spectators will enjoy an atmosphere full of Andalusian culture and tradition in all its senses, all while taking in a traditional flamenco show that can be accompanied by typical Spanish gastronomy. After the show starting at 23:30 there are also live performances of sevillanas and rumba. *Children: There are no special prices available. Children under the age of 18 are not allowed to enter.